Just when we thought the whole palaver with the Gatwick Airport drones was finally over and done with, there’s been yet another drone sighting, this time at Heathrow Airport on early Tuesday evening, causing a temporary halt of all flights. Scotland Yard said they were launching a “full criminal investigation” into the incident, and that officers were among those who spotted the drone in question. Departures from the west London airport were put on hold for about an hour. The incident comes only a few weeks after the fiasco at Gatwick airport following reports of drone sightings, resulting in flights being severely delayed and some cancelled. More than 140,000 passengers were affected between the 19th and 21st of December, ruining many travellers flights for the holiday season. 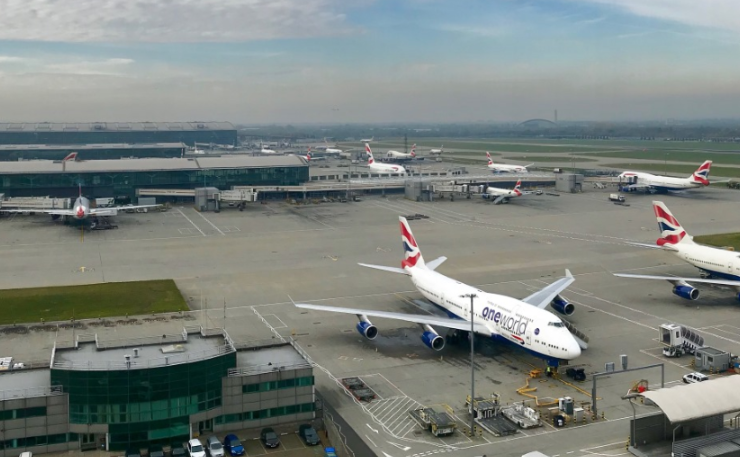 Heathrow Airport are currently working with the Metropolitan Police, and said that it was monitoring the situation, after another drone was spotted around the airport’s airspace. They also apologised to passengers who were disrupted by the incident. However, they have stated that now “business was back to normal”, and flights have long resumed back to normalcy, however, an investigation has now been launched, so as to make sure that it doesn’t happen again, amidst security concerns. The Met’s Commander Stuart Cundy confirmed the police were receiving assistance from the military, but would not discuss any further tactics. He stated that the drone sighting was reported just after 17:00 GMT, and departing flights stopped while initial enquiries were made. Transport Secretary Chris Grayling said that he was in contact with the airport during the incident about the sighting, and had spoken to the home secretary and even the defence secretary, highlighting the severity of the security concerns. Martin Roberts, a cameraman for the BBC, also claims to have seen what he believes was a drone while he was driving on the M25 past Heathrow. Gatwick airport stated last week that it had spent £5 million to prevent future trespassing of drones, and Heathrow has also confirmed it would be buying systems to guard against them. It was also announced last week that the police would be given new powers to tackle the illegal use of drones. British Airline Pilots’ Association general secretary Brian Strutton called on ministers to strengthen drone legislation and to ensure airports invest in protection technology, saying it was “time to add swiftly and decisively”. BBC’s transport correspondent Tom Burridge added that while the recent incident at Heathrow Airport didn’t cause the same kind of disruption as at Gatwick Airport, it questioned how UK airports can deal with drones. He also added that while they are looking at the latest technology, he said they are “playing catch-up” and that the aviation industry had been calling for “drastic action on this for months”. Whether yet another disruption will arise by drones remains to be seen, but we can only hope this incident will be the last and that everyone from now on can travel stress-free and without any drone disruptions.